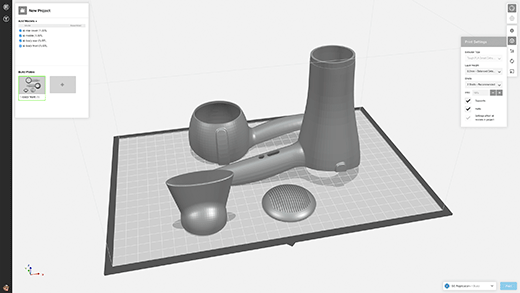 Gluing your 3D prints can be a powerful post-processing method if you’re looking to combine multiple components of an assembly, or create a model larger than the build volume of your 3D printer. In this How To, we will show you some of the best practices associated with gluing your 3D prints. Great models can be found on Thingiverse or GrabCAD for free. 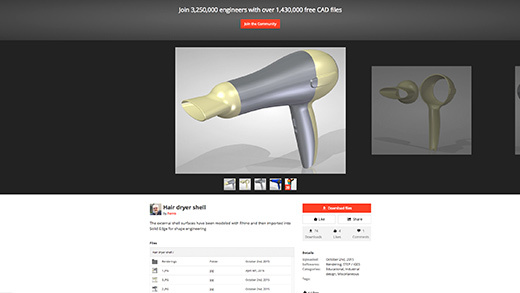 For our model, we chose a prototype hair dryer created by Ferro from GrabCAD. If you’re designing from scratch, consider where you’d like the components to be joined. If creating joints or keys for your model, make sure to create joining features large enough that your printer can create them cleanly. Generally, features should be larger than 4-5mm in diameter. A. When preparing models for gluing in MakerBot Print, keep in mind how your print settings will affect the gluing process. B. 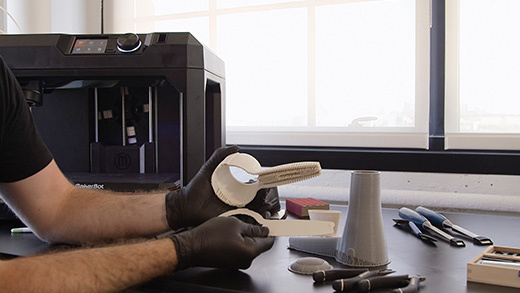 Because of the size of our model, we chose to print on our MakerBot Replicator+ Desktop 3D Printer in MakerBot PLA. Surfaces printed in the Z axis will have the smoothest surface finish. Avoid placing support material around joining features unless necessary. 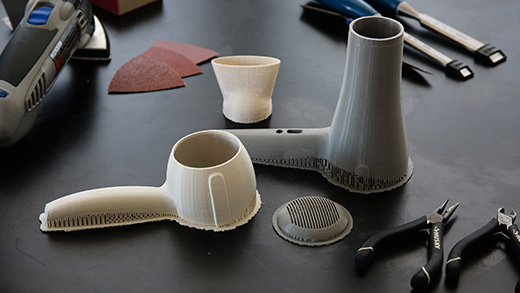 PLA is easy to print with and doesn’t shrink or warp during the printing process. 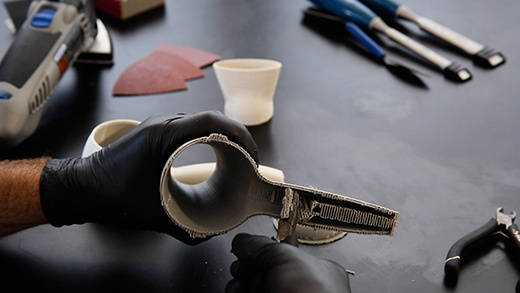 Material such as ABS may warp or shrink, negatively affecting the fit of your model components. Take care around edges and seams to ensure your pieces fit together properly. 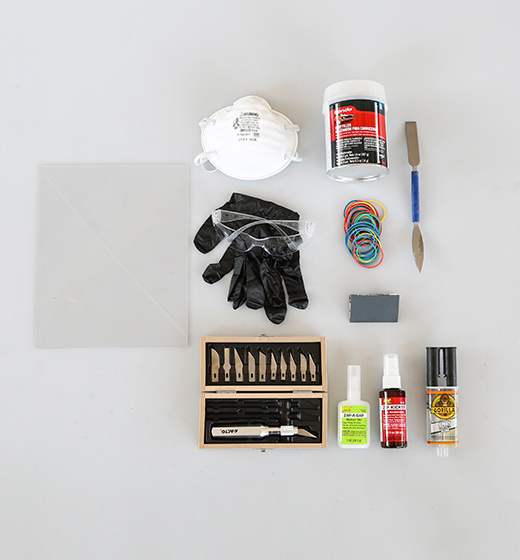 Your model is ready to glue when all surfaces and joints are smooth and fit together as intended. Join model components using rubber bands as they will better conform to the shape of your model. If rubber bands don’t work due to the geometry of your model, try straps, tape or clamps. Work from the center of your model outwards in regular intervals to achieve even gluing. Take a moment to examine the fit. If you find that your seams are rough or have gaps, you can use bondo or filler to smooth them - this works especially well if you plan to paint your model or create a silicone mold around it. Fillers like bondo come in two parts - filler and hardener.